The world is full of villains thirsting for power. Thankfully, it is also full of defenders, protectors, and, of course, Avengers. A firm staple in today’s pop culture and entertainment, Marvel Comics helps bring the heroes and villains off the page and screen and onto the stage! 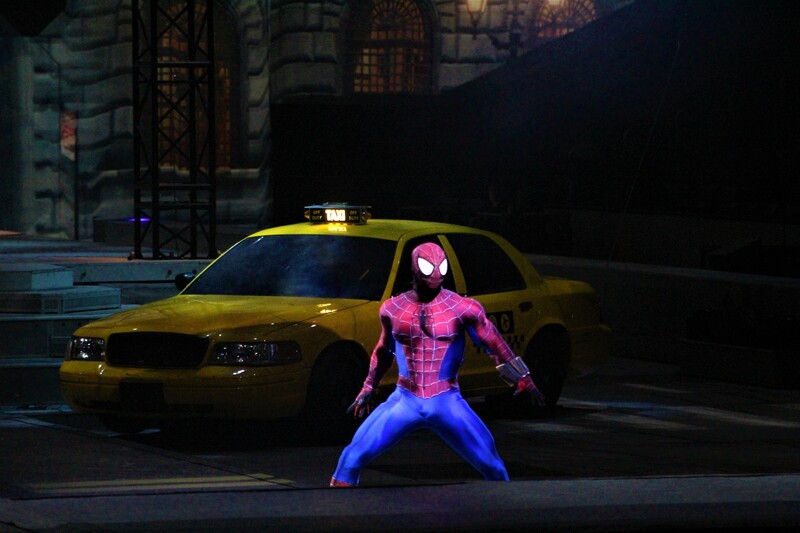 I had the amazing opportunity to take my family to see the fantastic world premiere of Marvel Universe Live! Age of Heroes at the Staples Center in Los Angeles. The story is a classic comic book-style story line, bringing together heroes from all over the Marvel Universe to save us all. When Asgardian supervillain Loki hires mercenary Nebula to steal an enchanted staff from the space pirate Ravagers, the Guardians of the Galaxy travel through the cosmos to track it down. Meanwhile on Earth, the Avengers team up with Spider-Man and Dr. Strange to find Loki and the staff before it’s awesome power can be used to destroy the universe. The show takes the form of small scenes, connected together by fantastic sequences involving stunts, pyrotechnics, laser lights, and fight choreography. There are also plenty of scenes featuring aerial acrobatics, such as a scene set in the mystical city of K’un L’un, where acrobats perform a wonderful routine of aerial silk. With a cast featuring over twenty-five Marvel characters, you never know who will be coming in to help, or harm, the mission of the Avengers. The excitement never ends, and it even proved to be enough to keep our two-and-a-half year-old daughter rapt in attention. The spectacular show is not one to be missed!